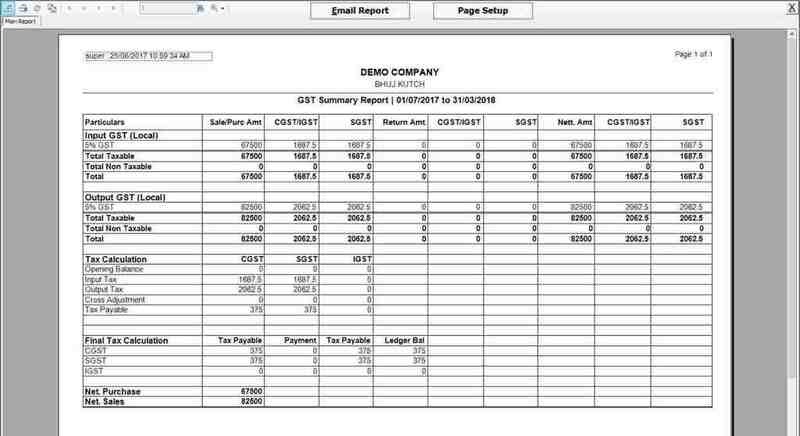 AccountsPro is a windows based (online/offline) GST Ready Accounting & Inventory Management software application specifically designed for Micro and Small enterprises looking for a cost effective solution which can help them automate their various business functions like Accounts, Inventory, POS, Statutory reports, CRM & more. 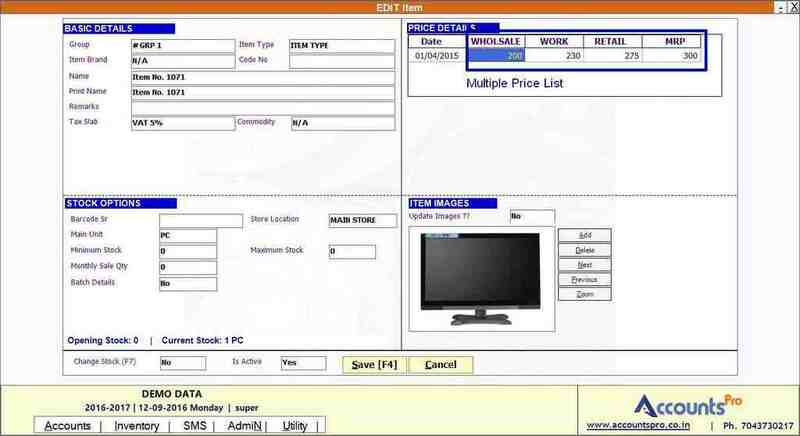 In the current techology era, its become necesary for businesses to speed up their business procesess with the help of robust, advanced and reliable software applications. 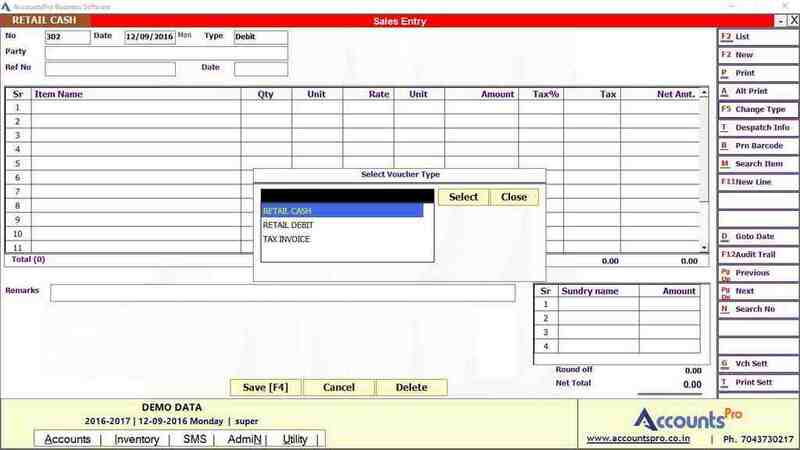 Moden business requires immediate retrieval of vital business information related to their accounts, inventory, sales etc. 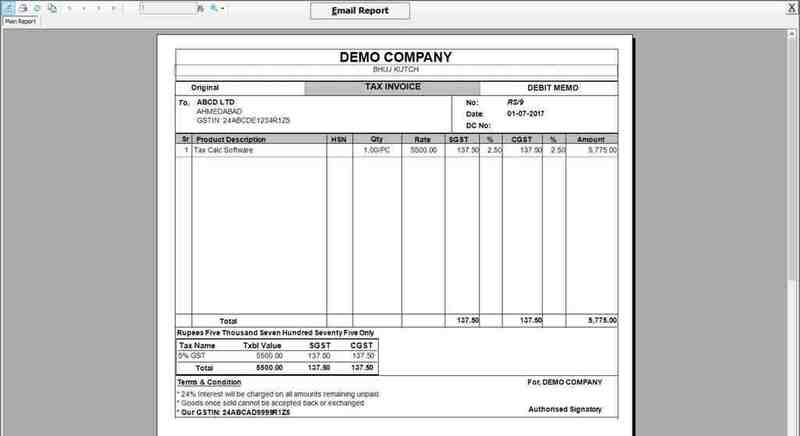 AccountsPro is developed keeping in mind important factors viz ease, reliability and advancement. 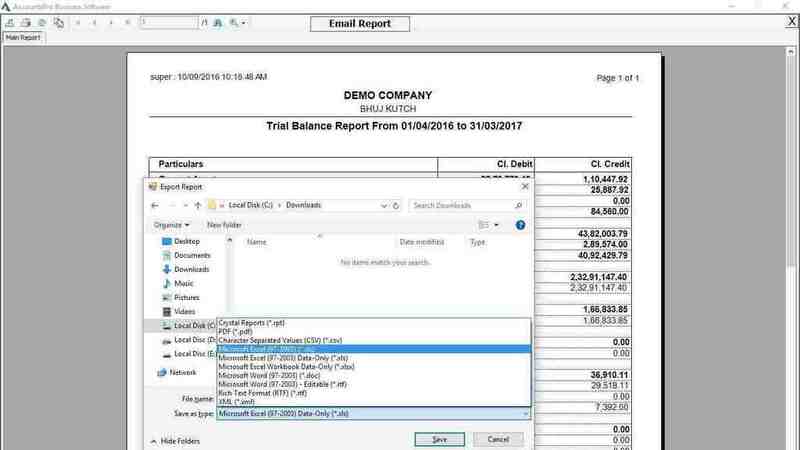 A set of common features that smoothen your software usage experience. 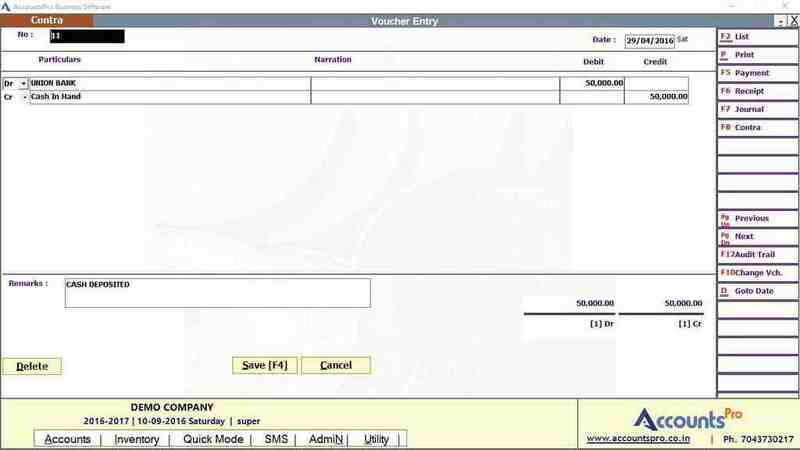 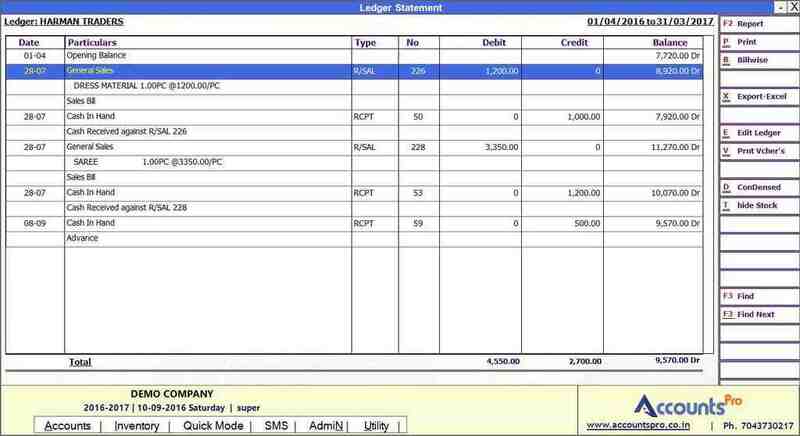 Accounting section covers easy handling of day to day accounting vouchers like Receipt, Payment, Contra, Journal etc. 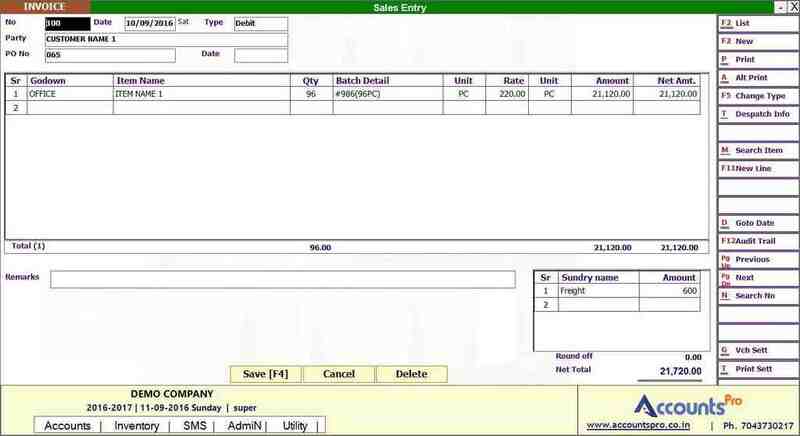 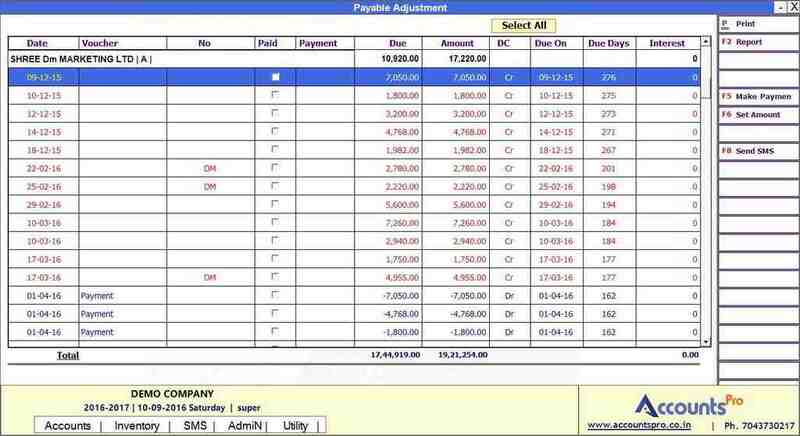 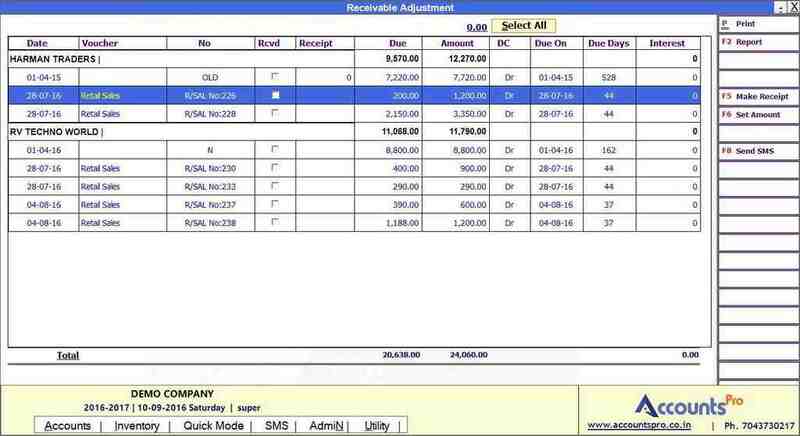 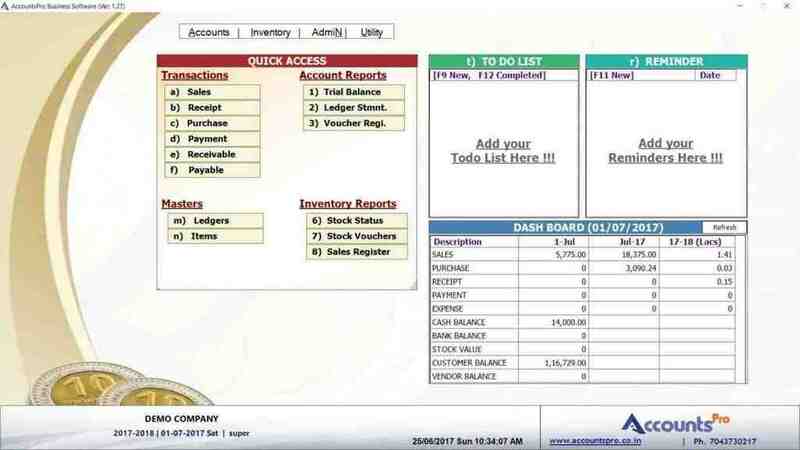 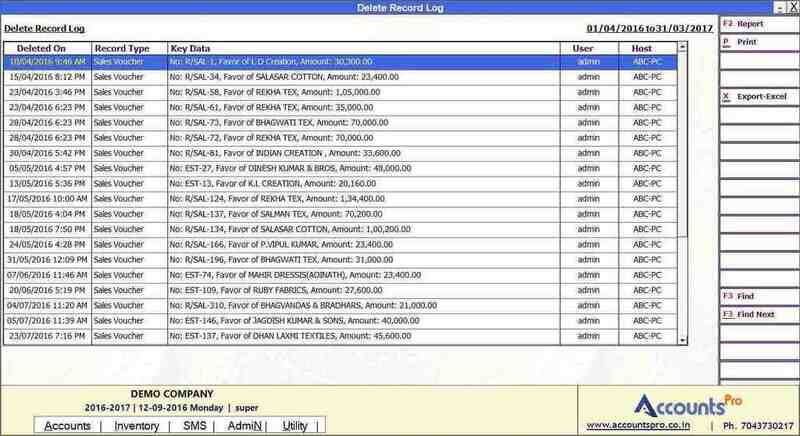 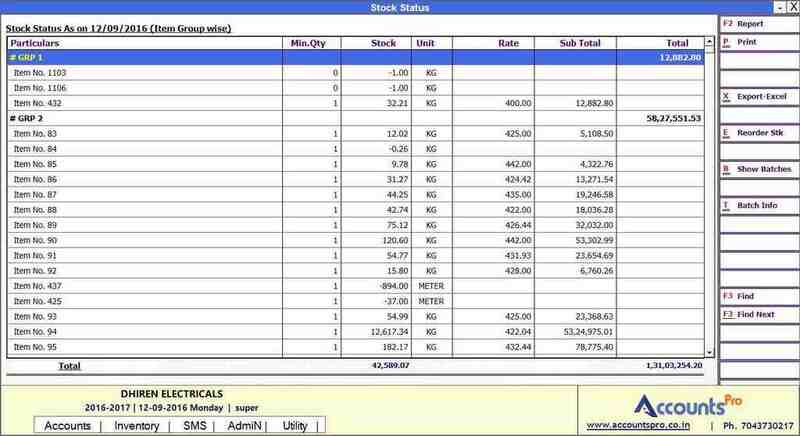 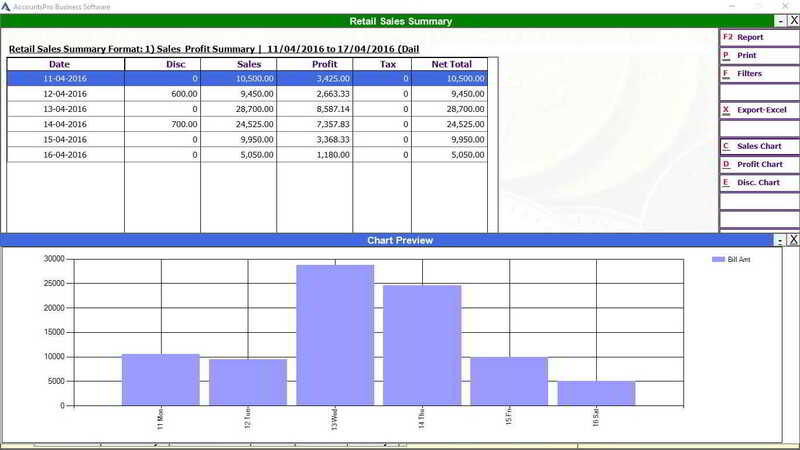 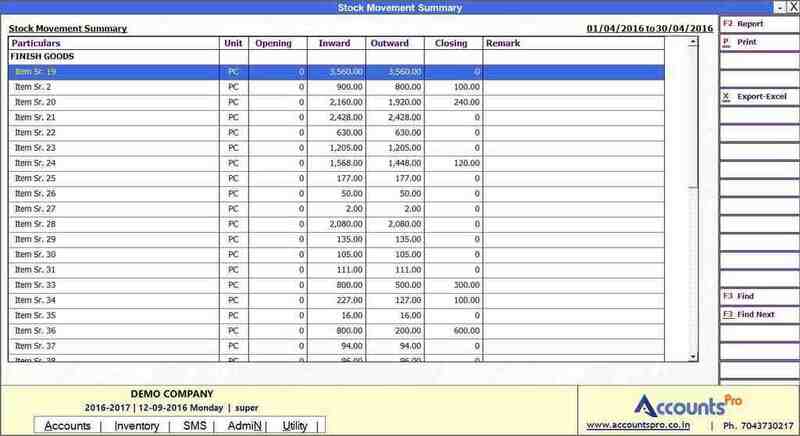 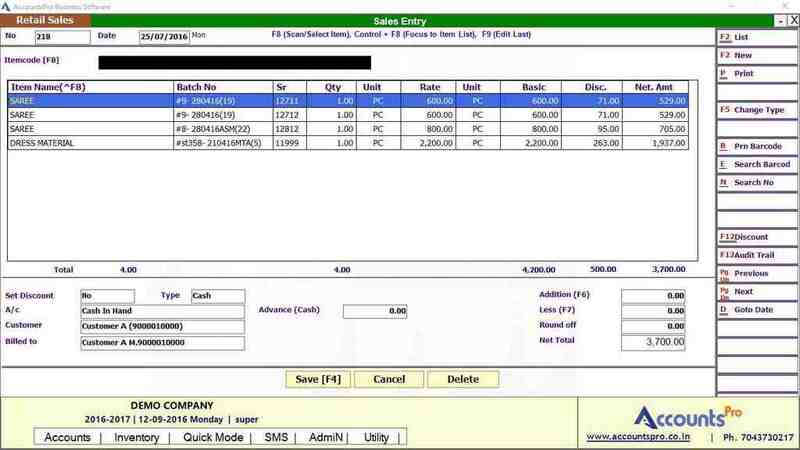 A Set of useful MIS reports helps control your accounts efficiently. 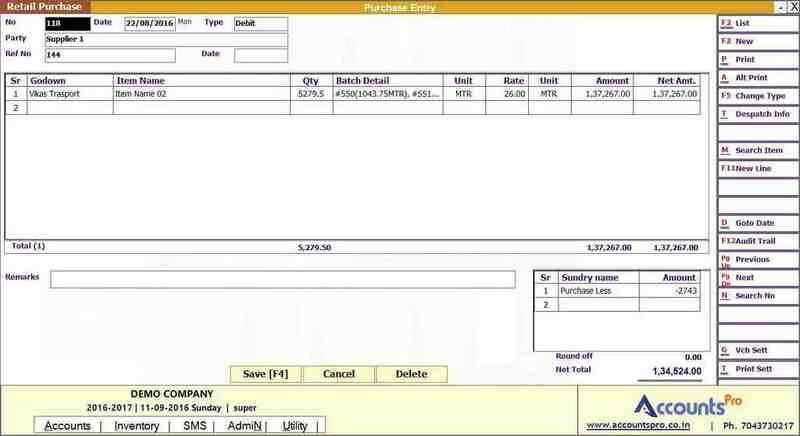 Inventory features covers management of various inventory vouchers like Purchase, Sales, Challans alogwith Stock Status, Reordering, Pricelist Management etc..
You can manage your account outstanding billwise effectively alongwith sms integration. 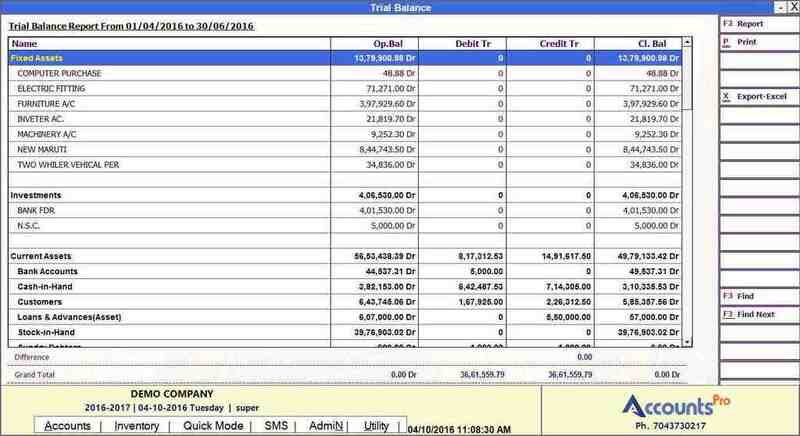 You can send periodic reminders to your debtors via SMS/email to inform them about their outstanding balance. 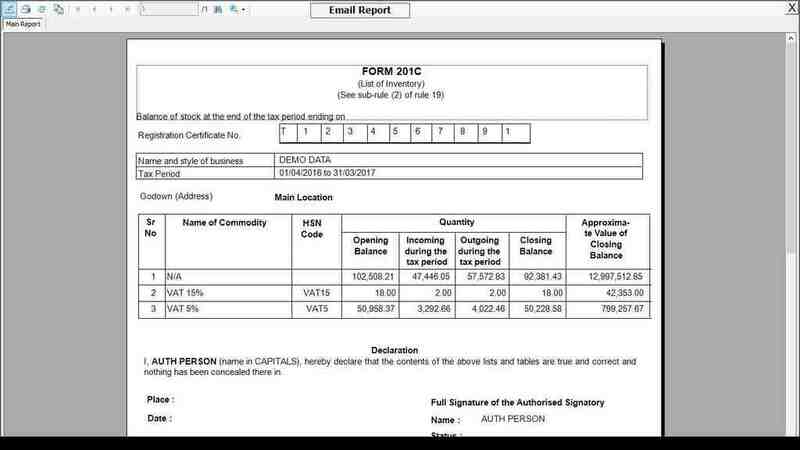 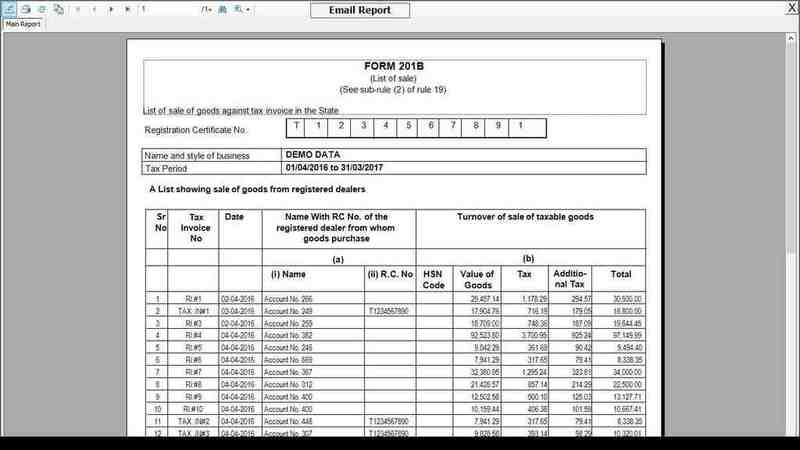 Various GST compliance reports like GSTR1, GSTR2, GSTR3, GST Computation are covered under Taxation reports. 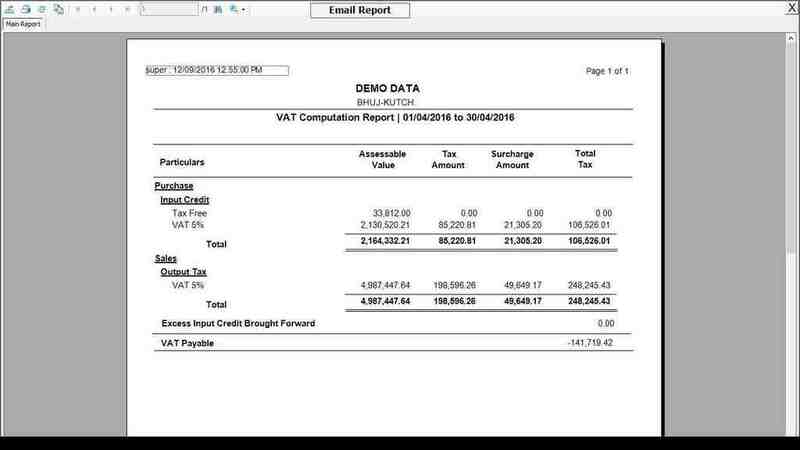 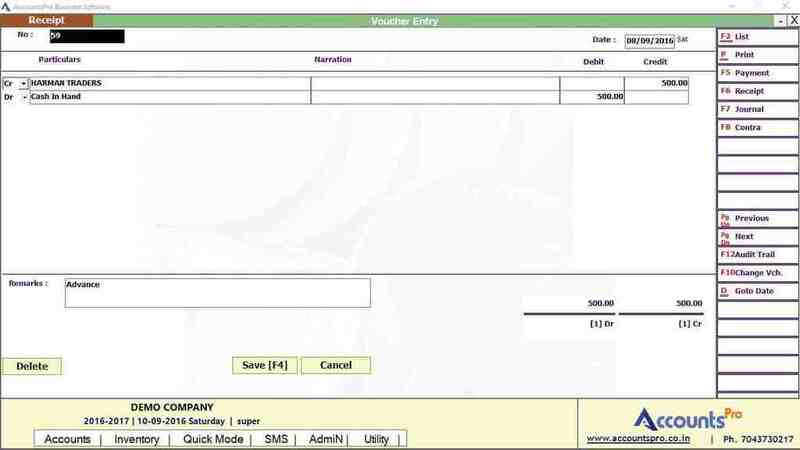 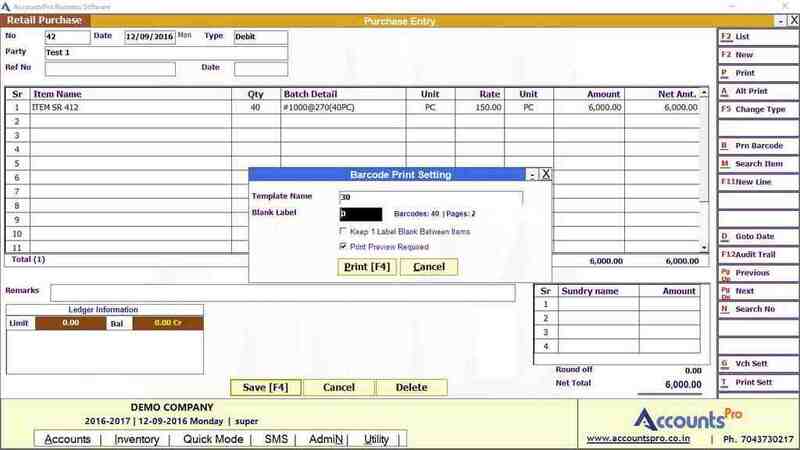 Invoicing section is hightly customizable, so that almost every business user can set the usage environment and printing format as per their need. 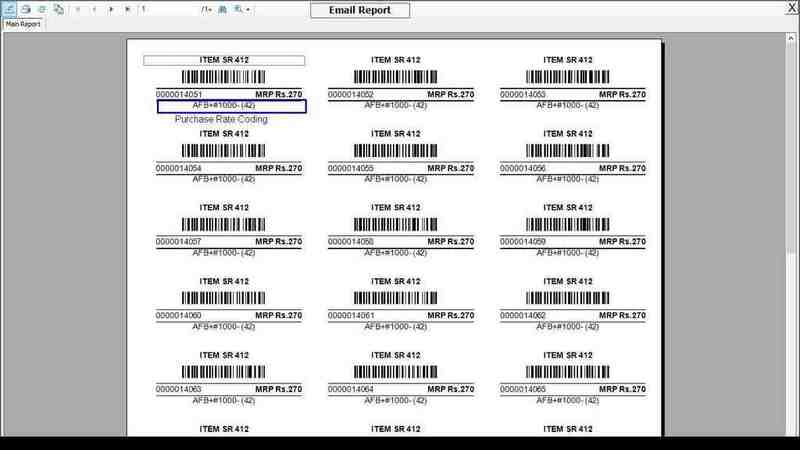 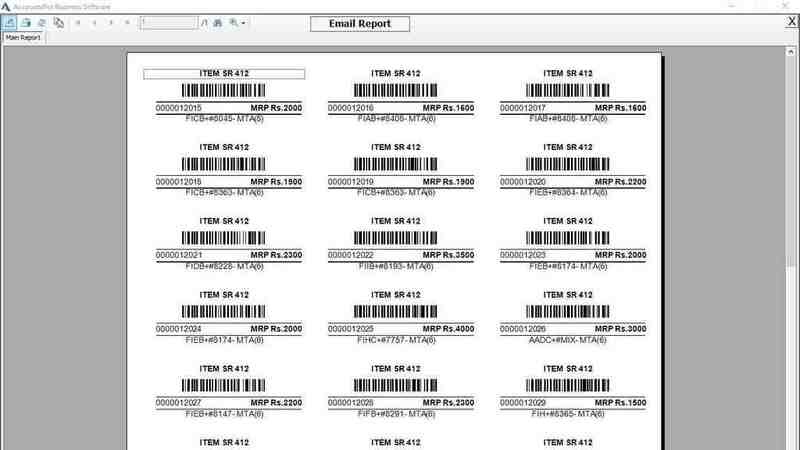 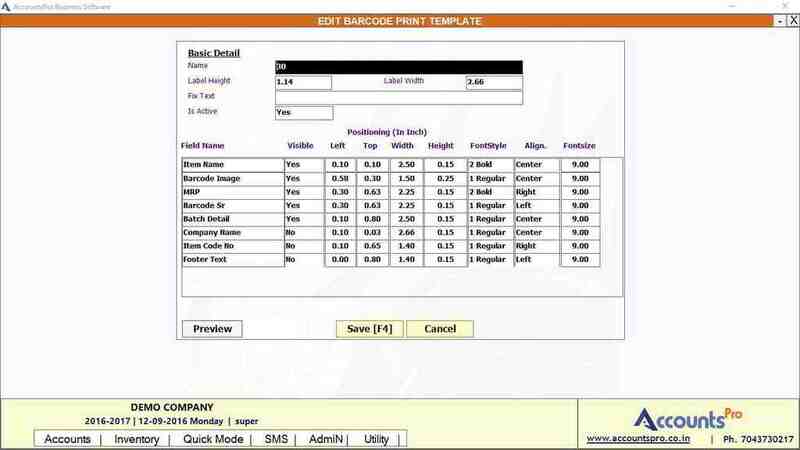 To manage your stock and sales/purchase transaction more efficiently, advanced barcoding functions are covered in the software.